We’ve gathered insurance quotes for many different types of pets, breeds and ages and reported them here in comparison tables. Please keep in mind that your pet, especially if they are older and/or have pre-existing conditions, will not necessarily fit perfectly into this pricing model. We also want to mention that customer service and coverage are important factors to consider, not just cost alone. Lastly, we encourage you to obtain quotes from our top pet insurance companies to give you an idea of what your monthly premiums might be. We’ve made an easy-to-use quote form below to help you. 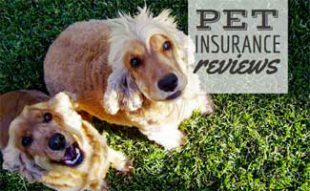 This article is a companion to our Best Pet Insurance article, which provides pet insurance comparisons, pros, cons and reviews for the major pet insurance providers. 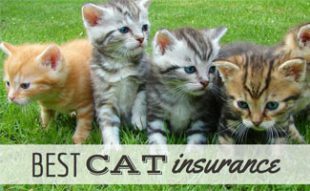 You’ll also find our winners for the top 3 best pet insurance carriers in that article. Some pet insurance providers charge transaction fees and/or one-time policy setup fees, which we’ve included in our tables. Transaction fees involve charges each time you pay for your pet’s insurance premium. You can reduce the number of transaction fees by paying quarterly, semi-annually or annually. Between the emergency vet, ambulance, hospitalization, and rehab/physical therapy, Chief has accumulated about $50,000 in vet bills. I have been pleased to become an unofficial spokesman for Trupanion because I am so impressed with their level of concern and service throughout the ordeal, and I believe that all dog owners would benefit from hearing the story. I signed up with Trupanion when Chief was a small puppy, probably about 3 months old, based on a recommendation from my vet. My last dog had incurred some enormous vet bills in the last two years of her life and it seemed prudent to investigate pet insurance while Chief was still young and healthy. I was skeptical that their coverage would be as good as what they advertised (90% coverage, no limit). When the vet hospital told me that it would cost $10,000/week to care for Chief with no guarantee that his condition would improve, I fully expected Trupanion to point out some fine print in our agreement that would limit their exposure. Quite the contrary! They were unbelievably supportive and assured me that they would cover 90%, and that I should do whatever was needed to help Chief. They even told me to add a small extra ($6/month) to my policy when we were discharged from the ICU to cover the cost of rehab and physical therapy, which has run into the thousands. I fully believe that Trupanion is a wonderful company populated with people who care deeply about animals. Veterinary bills (since being covered): Well over $48,500. When I contacted Trupanion after the surgery and spoke to my wonderful claims adjuster and other member of the staff and advised them that Bruiser required chemotherapy and over 20 cycles of radiation, I was told it would be covered. I have to be honest, Trupanion covered all of Bruiser’s surgery, chemotherapy, 22 cycles of radiation and all follow-up testing and treatment since Bruiser has been in remission well over 2 year and 7 months without issue. They make me feel like Bruiser and I are not clients but family and are truly concerned that he remains cancer free. The video tells this story better than I could ever try… a true victory for Baxter and his parents thanks to the financial assistance of Healthy Paws when faced with terminal cancer that was initially deemed inoperable. But, the parents did their own research to find an innovative surgery that saved Baxter’s life. I adopted Robbie on 9/18/12, he had been picked up as a stray, and I adopted him through the city animal shelter near my house. I made an appointment for him right a way to get an exam, and vaccines. And enrolled him with Trupanion, which turned out to be a really good thing, because Robbie turned out to be a bit of a lemon. While I might have adopted a lemon from the shelter, I love him very much. He comes to work with me at Trupanion every day, and I am so glad that I enrolled him with Trupanion Pet Insurance as soon as I got him. It means that I can confidently tell the veterinarian that I want to do whatever the very best thing for my dog is, and I don’t have to worry, or even think about the cost! In December 2012, my dog Bartlet started breaking out in sores all over his skin. After many vet visits and tests, a dermatologist finally diagnosed him with an autoimmune disorder that will require lifetime care. In three months, I spent over $4,000. Knowing I have insurance to cover his care takes a huge burden off me. I don’t have to think twice when the vet recommends another medication or blood test. I can afford to provide my dog the best vet care. Reimbursement checks usually arrive within two weeks. My vet files the claim for me so there’s no added paperwork for me. Petplan reimburses based on the actual vet charges, not a schedule of benefits that doesn’t come close to reality. The deductible is per disease, so I only had to meet it once and all follow ups for his skin disease are covered in full. I chose the $100 deductible with 100% reimbursement. Premiums are much cheaper with a higher deductible vs. a lower reimbursement. Their premiums were in line with the other top insurance plans. Petplan is by far the best money I have spent in my life. I have had Petplan for a few years now, and last year our cat Tommy needed a very costly surgery that we couldn’t have afforded on our own. Without the surgery, he would have needed to have been put down. Our dog Lucy also has several chronic problems, including food allergies, seasonal allergies, chronic skin issues, chronic ear infections. Petplan is peace of mind for me, and I will be a lifetime customer. It is the best investment I’ve made, and makes me feel great to know that I can care for my pets when they are ill. Their customer service is always friendly and helpful, and I have yet to have a check take more than two weeks to arrive from submission to arrival. April first fell ill more than a month ago. It took some time, some patience, and a good deal of discomfort on April’s part for the vet to rule out many conditions before she got results back from the lab at Cornell which suggests that she does not have a portosystemic shunt, but rather hepatic microvascular dysplasia (H-MVD). The test results came back 10 days ago, and since last Thursday she has been feeling considerably better. She socializes more with the other dogs and her appetite is almost back to normal. Her water consumption, a huge source of worry for us, has returned to something approximating normal, and her sleep is interrupted by pain only a couple of times per week now, rather than nightly, as it had been. We are grateful to our vet and her skilled staff, for such great and patient and tenacious care. Equally importantly, we are most grateful to Petplan for the help covering her veterinary and medication bills. Our investment in her policy, and one for her brother, provide us not only with peace of mind, but with the resources to keep her, her brother, and her three sibling sisters healthy. Without this extraordinary benefit, we would be in a position to offer only rudimentary care, and we would be obliged to discontinue rescuing dogs, even those without congenital medical challenges. Having lost our 13 year old collie in May, we had spent the summer thinking of a new friend for our retiree household. We dropped by the shelter and there he was! Our new friend. We went back home to think it through but were at the shelter when it opened on Monday, December 3rd. On Tuesday, we took him to Hill Creek Veterinary Hospital in Pittsboro, NC and “Oliver,” our bouncing baby boy, was given a clean bill of health. He received his worming and rabies shot in addition to the immunization and worming he had received at the shelter. During our visit, Dr. Ammerman suggested a 30-day promotion of Trupanion pet insurance. She said it was easy to try, required no contract or credit card. On Wednesday, Oliver reacted to a second worming pill and as the vet had warned, vomited. However, on Thursday, Oliver developed diarrhea and lethargy and by afternoon was diagnosed at Hill Creek with Parvo disease. On Saturday, we transferred him to the Veterinary Specialty Hospital in Cary which had the needed 24/7 care and there he remained in isolation for over a week. He was given wonderful care and round-the-clock hydration and medication. He was ever so sick and looked at us with woefully sad eyes as we watched through the glass window of his confused world. Here is the miracle part. He survived and is an extraordinarily smart, active, basically healthy, lovable puppy that is quite spoiled! Now for Trupanion’s role in Oliver’s care. The rapid progression of this devastating disease from shelter to isolation and treatment was looked at by the company’s claims review group and after a thorough review, his care was deemed covered by our insurance. The many folks at Trupanion and Hill Creek were incredibly kind and helpful. We had elected to provide for his care without financial consideration but imagine our delight when we received the check for 90% of his medical expense. We have since taken an extended policy and have peace of mind that the miracle will continue. I read in fetch! magazine how Petplan insurance saved many pet parents from costly vet expenses and wanted to write and tell you how thankful we are to have had Petplan insurance for our 6-year-old Black Lab, Jed. In January 2013, Jed started to limp, so we took him to the vet. We were told that he had ruptured his cruciate ligament in his right rear leg and needed TPLO surgery. Not good news, so we scheduled his surgery for February. Two weeks before Jed was to have surgery, I was laid off from work. I have to say, knowing that Petplan was there to help with Jed’s surgery expense was a life saver. I never doubted purchasing his insurance four years ago after we adopted Jed. Petplan makes the claims process easy, and reimbursement is quick. I recommend Petplan to all our friends and family. Lindy, our four-year-old Goldendoodle, has been insured with Petplan since she was a puppy. In March 2013, Lindy needed an overnight stay in the animal hospital after a vomiting and diarrhea attack worsened. In filing the claim, naturally there is paperwork but it was not onerous. Reimbursement was prompt and accurate and all communication from Petplan was courteous. And Lindy’s doing much better! We have Petplan insurance on our German Shepherd, Connor, and our Labrador Retriever, Roger. On December 10, 2012, Connor bloated. We rushed him to surgery with this life-threatening illness late that night. I filed the initial claim paperwork on December 12. It was an easy process: simply log in to your online account, chose which pet you want to file on. The forms required for each claim are pre-populated with your pet’s name and other information. You take the appropriate form to the treating vet and they fax the form, plus the dog’s medical records and bills to Petplan. I submitted the other form directly to Petplan. They communicate with you by e-mail if they need more information. To make a long story short, we received a check on January 16, 2013 for $2,311.89. The original bill was $2,944.94. We are very pleased with Petplan! Walter was diagnosed with epilepsy at 10/months old. There were no warning signs; it’s not common with his breed, and there’s no known history of it in his lines. One Saturday evening we were all just hanging out at home, and he just had a seizure out of the blue. Over the next few months he had several more. We visited a neurologist, who advised we would potentially need an MRI and spinal tap to rule out neurologic issues. We tried antibiotics to rule out bacterial infections, and of course did blood work to be sure he hadn’t accidentally eaten something poisonous. As a last step before the MRI (which was going to cost $2100 and had already been pre-approved for coverage by Trupanion), we tried an anti-seizure medication called Zonisamide. That was a year ago this month, and he now is mostly seizure free and has been officially diagnosed with epilepsy. My son is an EMS helicopter pilot based in California, and he has come across dozens of abandoned dogs. One of his rescues five years ago was a Lab-Chow mix puppy. We were visiting him a few weeks later, and it was love at first sight. He became a Pennsylvania dog, and he looked so like a little polar bear cub that we named him ‘Mr. Bear.’ He’s 62 pounds of love and five pounds of fur! We got him microchipped, obtained a Petplan policy, found a very good vet, and have enjoyed him immensely. In January 2013, we found a sizable lump under his fur, and the vet thought it might be a melanoma. He operated, and the mass he removed was cancer. The operation was successful, in that Mr. Bear has healed beautifully, and we hope all the cancer was removed. I got the Petplan reimbursement form, the vet filled out the relevant portions and attached the medical history, and we got the check for 80% of the cost of the operation, less the deductible, within a few days. Petplan has followed up with us, and will be reimbursing us for the follow-up care as well. If human insurance were as good, we’d be a lot healthier and happier! 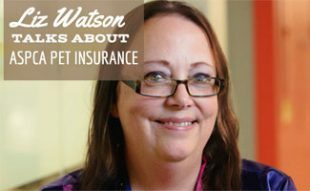 Do you or someone you know have a pet insurance success story? Submit it to us, and maybe you’ll see it added to this page! Were you able to get a quote for your pet? How did it turn out? Warning – do not join Nationwide if you want real coverage for real illnesses. I joined 12 years ago before the good companies came along (they were VPI then, but underwritten by Nationwide). For 12 years I would submit itemized bills and vet notes, and per their policy $50.00 deductible would come off every claim, then they would consult their list of covered illnesses and the amount covered. The amount covered was often about half of what you paid the vet. Then they would pay me 90% of the amount covered. So for a $400 vet bill, they might say $100 isn’t a covered illness on their list, but the remaining $300 vet diagnosis/treatment is covered. So their schedule may allow payment of $175 for that diagnosis/treatment that cost me $300. So they would then take 10% off what they can pay me: $175-17.50=157.50. BUT the $50 deductible comes out of this, so I end up with $107.50 back from my $400.00 vet bill. I am not exaggerating. The $100 that was disallowed could be for the office visit and meds for a chronic cough, which could be caused by several things, one of which is collapsed trachea. That’s something that most small dogs are susceptible to, so Nationwide doesn’t cover collapsed trachea treatment or anything related that could be caused by it. They exclude Cushings disease as well, which is a horrible and very expensive disease that is prone to certain breeds (i.e. my toy poodle, who didn’t happen to have this). It would be a dream come true to have 80% of my $7000.00 ER bills paid. I’m afraid to submit them, because I’ll probably get $1500 back, maybe $2000 if I’m lucky. And that will be after they require more vet history, then require his whole life vet history, which they should already have; you get the picture. It’s so much work, I gave up on getting anything back from the $100 a month I spent on meds. They required more documentation with every medication receipt. They’re good at wearing you down, which doesn’t take much when your beloved pet is terminally ill. Another fun fact is that you pay two deductibles if the treatment you are submitting occurred at the end of your policy year and the beginning of your new policy year. So for one illness over 2 days they took $100. deductible when it was June 30/July 1st. Nationwide is not on my side. I hope this saves someone from this really bad coverage.. I agree with you when it comes to Nationwide’s Major Medical coverage, you would need to have a PhD in mathematics to understand that plan, but the Whole Pet with Wellness has been fabulous for us. Our one pup has six pages worth of claims for a chronic illness she was diagnosed with only 3 weeks after the plan went active. They’ve covered her prescribed nutraceuticals, her acupuncture and all of her treatments and diagnostics. The cost of her care has been over $30K for the past year. When we chose to spay one of our dogs via laprascopy, a less invasive procedure, they covered the $1000 cost of that versus a typical spay which would have been about $400. We have 9 dogs on Whole Pet with Wellness policies and they’ve routinely covered everything, including flea & tick and heartworm prevention. The only time they really ticked me off was when they stopped insuring puppies on this plan, which is why I’m looking for alternatives for our newest pup. My intention will be to switch her to Nationwide Whole Pet with Wellness the minute she turns 1 year as long as she hasn’t been diagnosed with a chronic illness. Can I ask you to re-check your quotes for PetPlan on the 4 year old black lab and 5 year old mix breed? I just did mock quotes for both and they were over $70 each? The standard poodle puppy was closer in price but the other ones were $20-$30 higher per month. I checked it twice using a couple of zip codes. Thank you. Price varies based on the zipcode and pre-existing conditions you may use. That’s why we recommend getting quotes from our top three picks. Ok I did. I compared your quotes and they were pretty similar except your petplan quotes were off. I did quotes for Healthy Paws, pet plan, and pets best based on your mock pets. All were pretty similar except pet plan. My quotes showed it being significantly higher by more than $20 a month. That’s why I asked if you could re-check the quotes. We ran these quotes just a couple weeks ago. Quotes would need to be run by every company for new criteria and new prices to be posted, which is a lengthy process. It is more important for you to get quotes for your specific scenario. If you were not pleased with Petplan’s quotes you should consider another pet insurance company. Healthy Paws is currently our #1 pick for pet insurance, so we recommend you consider looking into them for your pet insurance needs. Best of luck. Glad to see the updates in Petplans quotes. They seem to be more in line and among the most expensive listed here…top 4/5 highest monthly prices. They have definitely become more expensive. Have you selected a pet insurance provider yet? I would do anything for animals that humans would do for other humans. Getting pet insurance sounds like a great idea so you can do more for your pets. Animals rely on us to help them, and that’s what I am going to do. One thing that would be helpful is information regarding annual increases. I read a blog recently that talked about how insurance companies increase premiums annually. For example, your premiums never go up with Trupanion which is why their costs may be higher for younger pets. PetPlan claims it will increase 5-10%. I have not submitted any claims yet in this past year and my insurance is actually increasing by more than 10%. It’s going from $396 to $495 annually for a bronze plan ($200 deductible, $10000 year limit). It would be helpful for pet owners to look long term with regards to how much they are going to be paying for pet insurance. Thank you for this insight and info Sarah. It is very helpful for our readers and also for us to consider in our next audit of this category in the near future. As the pet ages the chances of illnesses increases greatly that is why Petplan raises them annually. Unfortunately. I beg to differ on your ranking for Pets Best. I have had Pets Best for my two dogs who have both had claims. One minor; the other fairly major as she has IBD. First, I would gladly pay $200 deductible to get 80% up to $5,000 per incident and $100,000 lifetime than $100 deductible for 70% with a $3,000 limit. Next, I must say that Pets Best has the quickest turn around time that anyone could hope for and the money is directly deposited into my checking account within two to four days. They have never turned down a claim on either of my dogs. You can do everything online which is very quick and convenient and if you need to call to ask questions they are friendly, caring and give wonderful complete answers to all of your questions. I would rank them right at or certainly near the top and they offer several plans to choose from. What more could you possibly ask for? I have Pets Best for two of my pets. I think you have to rank them lower because of the change in underwriters. That may not seem like much to you, but I learned a very hard lesson. First time, they changed underwriters, it didn’t affect me much. They changed underwriters again and my premiums sky rocketed. For my 11 year old beagle, it went from $584 to $1404! That more than doubled! My 9 year old beagle went from $566 to $1266. All because of a new underwriter. I had to change to a $250 deductible because I could no longer afford it. I immediately took my 5 year old beagle off the plan and moved him to PetPlan after Canine Journal’s article and other reputable reviews. So as I mentioned I changed to a $250 deductible and my now 12 year old beagle’s premium (2015) was paying $969 and it went up $1415… over 40% increase. My now 11 year old beagle went from $872 to $1238. This time I was told it went up a lot because they are now including congenital diseases. Oh and now prices increase because of vet pet increases and regional pricing. That’s why I would like Canine Journal to include annual premium increases in their analysis for best pet insurance. Pets Best has great customer service and reimbursement time BUT they are far from perfect. My dog used to receive giardia vaccines as part of their vaccine package. A few years ago the vet realized the vaccine was not effective so vets stop giving them. PetPlan acknowledges that and covers giardia, but Pets Best still does NOT cover it even though the American Veterinary Association doesn’t recommend a giardia vaccine because it just doesn’t work. People think changing underwriters is not a big deal but in this case, look at how high my premiums went up. I had no choice but to stay with them because of pre-existing conditions. I’m stuck and now I have to downgrade their plans again because I simply cannot afford paying hundreds of dollars more again. I also have used Pets Best since 2015 (changed from Healthy Paws-too expensive). My two dogs are $386 a year. That’s about $16 per year per dog. Fast turnaround on my claims. I have $200 deductible and 70% reimbursement. Very happy with them. 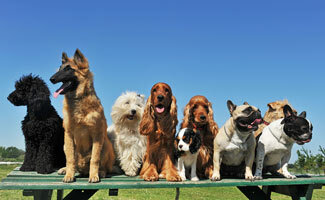 We have all of our pets (3 dogs and 2 cats) insured through Trupanion. While I thought our active border collie mix would be the one that used the insurance the most, it has actually been Jet, our 3 legged Staffordshire Bull Terrier mix, who has benefited the most from insurance. Just this last year we have spent about $6,000 for his care and be reimbursed about $5,000 by Trupanion. In January 2013 Jet presented with no appetite and vomiting. Turns out that he figured a cat toy was food and had to have emergency obstruction surgery. After recovering from that incident, we had him checked out due to his lameness after walking short distances. Xr-ays showed a tear in his CCL and he was scheduled for TTA surgery. We got pre-approved by Trupanion and the vet was wonderful in working with them. In the end, the $3,500 surgery only cost us about $500 out of pocket. While pet insurance isn't cheap it is well worth the security of knowing you can get your pet taken care of if something happens! Thanks for sharing your story Deb and so thrilled to hear that Jet is doing better and pet insurance helped you pay the bills to get him there. *A number of policy holders complain that Pet Plan delays payment on claims and requires duplicate proof of treatment documentation. *Users of Pet Plan complain that there is a waiting period before they can file a claim. In my opinion, these are pretty substantial cons that should affect their reputation in the categories of reimbursement and customer service. Can you explain the discrepancies? Hi Cindi and thank you for your question. You are correct – that was a rather confusing list of cons! We have actually combined the 2nd and 3rd con for PetPlan to reflect the reality of the few negative responses we have found. It now reads, "A number of policy holders complain that Pet Plan delays payment on claims (often due to a short up-front waiting period as a new customer) and requires extensive proof of treatment documentation." As you can imagine, many people file for insurance after a pet is already in harms way to try to avoid further costs down the road. This is among the biggest reasons for claims being denied by any pet insurance company because this often means that there was a pre-existing condition related to the claim. Sorry for this being misleading before. Also, the requirement of extensive treatment documentation is pretty standard but PetPlan does go the extra mile to make certain that claims are paid accurately and as promised to those who deserve them and not to those who do not so that they can maintain their reputation with vets, insurance underwriters and their customers. Hope this helps to clarify and thank you again for your questions. I have had Petplan for seven years now. They pay very quickly, you can look at your claims online, you can talk to customer service, they are just referring to the waiting. They all have to check your pet’s past records before deciding what is pre-existing or not. As far as they must have annual exam I have never had to deal with that, they have always been covered regardless. I am looking for pet mortality and production insurance for a show stud…any pointers? I really like that you named the pet insurance companies that aren't going to waste my time when I'm shopping for pet insurance. If there's one thing I hate, it's going online shopping for something and clicking to the pricing page and having to fill out a long drawn out form just to get a price quote two days later, or to have a company say they need to meet with me first. I know it sounds impatient, but it's annoying. For me, there's nothing that I like more than a flat rate. Oh, it's joy. I love clicking onto a website, clicking,"pricing," and actually seeing the price! Is it too much to ask? I know with insurance, you have to go through the whole quote rigmarole, but at least you've given me the direction to go in that might save me some time at least. I love how you guys go into such in depth research. I'm also glad you are going to be adding quotes over time, I think that every pet owner will end up stopping by this page for their pet insurance quote info. I know I'm not the only one who hates wasting time. I like this article a lot! I think it’s about time that animals have something similar to human health insurance. Those who don’t take care of their animals need to be turned into the ASPCA, but those of us who love our animals should consider pet insurance. If people are tired of paying high prices at the veterinarian’s office, pet insurance is a wonderful idea. Most of us treat our animals like they’re family, so shouldn’t they be covered like our children? Pet insurance is a great idea for loving pet owners and I think those who have animals they care about should seek pet insurance. Like any other insurance, people need to do some shopping around. Insurance can be pricy, but the cost will be worth it in the long run. Nobody likes paying a bunch of money for very little coverage, so I advise looking for the most coverage for the least amount of money. Everyone knows it’s costly to see a veterinarian, but some of that money you need to pay would be covered with a good pet policy. Pets are our family, so let’s treat them like family and protect their health. Pet insurance is great for all the same reasons that insurance is good for people. Frankly, even though you may not want to think about it, dogs need medical care too. 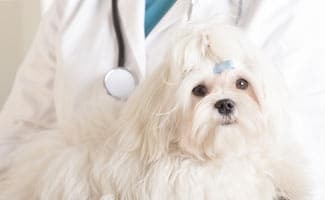 Whether it happens when you catch your dog tearing into some garbage and suddenly he feels sick, or he cuts his paw up on some rusty nails, or any other reason, you will probably find yourself in the pet hospital at some point. The best way to cope with this is to be prepared for it. The sheer cost of a hospital or emergency visit is enough in and of itself to consider pet insurance. On top of that, there are thousands of pet owners each year who cannot pay for the emergency care their pets need and the veterinary hospitals have to eat those costs. That translates to more expensive care for everyone. And then there is the most heart-wrenching of situations, when you need an elective treatment to save your pet’s life but cannot afford it, forcing you to scramble for a way to pay or lose your pet. Avoid all this with pet insurance; it is better for everyone. I've got to say, these quotes are much more complex than I expected. When I first heard about pet insurance, I thought, "What a great idea." I figured I'd grab some up and pay about $20 a month and be all set. What I didn't know was that there are so many companies out there. I was surprised to see so many players in the realm of pet insurance. I would definitely assume that it’s a profitable business, so I can see why so many people or companies got into it. I was struck to see that pet insurance was so much like human insurance in that there were deductibles, reimbursements, and limits. These are terms that confuse me even when it comes to human insurance. I appreciate also that you explain things so well in your article and that your insurance quote chart links directly to the reviews that you've already written about the companies. Having all of these reviews in one place really helped me make a decision quickly. It would have taken me so long to gather all of this information in order to make a decision. I have to say, Pet Plan looks like the one I would pick out of all of them. Their prices look reasonable and in some case, quite a bit less than I would expect them to be. I like the fact that they have an excellent reputation for reimbursement and I like the limits and deductibles. I really thought PurinaCare was going to have the best pricing and options, but I guess not. I guess I was predisposed to the Purina name. Now I have to wonder about other things that pertain to my personal situation. We are an animal loving household, so I wonder how hard it is to add on to a policy. I also wonder if they do pet insurance like they do other kinds of insurance and change the price when you change the policy. Does the deductible remain the same when you add a pet or is a per pet deductible. What kind of a discount do you get for having multiple pets? These are the things I am wondering about now. Petplan has multiple pet discounts. They are the best over all comprehensive cover everything insurance. The new underwriters for this coming year have increased the cost considerably. But as someone said veterinary costs and emergency fees have gone up as well. I was also told by Petplan as far as cats go the cheapest costs were for domestic short medium and long haired cats and the higher cost was for purebred, but as they told me what do most people have? So what do they have the most claims and payouts for? Short medium and long hair domestic cats so does policies have gone up for that reason alone. Wow there is some really handy information in here. I actually happen to have animals that fit two of those profiles, so this gave me a pretty good idea of what I may be looking at if I got them each a policy. I have to take into account that there may be some kind of discount for having more than one animal on a policy, but this really gives me great insight into what I could be looking at. I especially like the ratings that are given considering customer service and so forth. It is not worth it to try to go with the lowest price because all too often you really do get what you pay for. I want what everyone else wants. I want a low deductible, reasonable payments and no hassle for asking them to fulfill their end of the bargain, which pretty much means timely reimbursements and excellent customer service. If they can't provide those things, then they are not a company I want to be giving my money to. You know when I first read the title of the article; I thought to myself how can they really tell us about pet insurance quotes? Like how could they really tell us what to expect to pay for our pet? All animals are so different in weight and in size, and every type of animal is predisposed different conditions, so it's really hard to say what your pet might need. However, your article gave us a good rough idea of what our quotes might be. I like how you approach this topic. Basically, you just show us a couple of pets and told us their quotes. It's not possible for you to cover every pet in one article, and I totally understand that. However, the pets that you chose to cover gave us good view of what it might possibly be like in our specific situation. I did not know before I read this article that there were so many variables to getting your pet covered like whether they were spayed or neutered, or whether they even had a microchip. I was very surprised to find that those things affect the quote I expected pre-existing conditions to be a factor though. I was also surprised that the ASPCA offers pet insurance. I know as much as anybody just how expensive that health care can be for animals. Pet health insurance was not something that I was really even aware of until the last few years, but as my dog has gotten older, and the bills for my veterinary visits have gone up, I have started to do a little more research. This comparison really shed a lot of light on what to look for and honestly, I am a little surprised just how similar it is to looking for health insurance for my own self. You want to find a provider that works with the doctor you are comfortable seeing or at the very least provides you the flexibility to find a doctor you can get to know and build a relationship around. The importance of prescription medication coverage is crucial also. I have sought out cheaper alternatives to pet medication in the past, rather than buying straight from the vet which seems to get more and more expensive. However, there is a lot of ambiguity around buying discount meds so I would rather use my insurance to get what I know is safe. I have been a pet owner for a long time now, but the concept of pet insurance coverage is still something that is somewhat new to me. I know that it has been available now for several years but honestly, I just never really considered it. However, as veterinary costs seem to get higher and higher, I thought it may be a good idea to investigate the costs thereof. I had been reluctant to make calls though, because I know every company will try to eventually sell me on their service and I wanted some knowledge upfront first. This article has helped tremendously. Pet insurance, just like insurance for people, needs to be applicable to where you have your pet being cared for. If your vet is not included in the insurance network, then it is pointless to carry insurance that will not pay out to that doctor. Also, you must know just what kinds of service are included in your coverage. 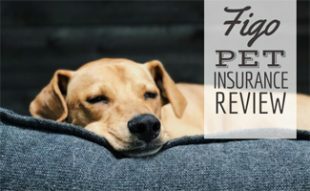 This article helped me understand much more comprehensively what kinds of things I can expect from most pet insurance carriers and what is generally not included. This article actually takes on one of the most difficult questions to answer in the field of pet insurance. How much will it cost to cover my dog/cat or other animal is not an easy question to answer, at least not specifically. The basic problem is that there are so many different types of species and even breeds that it is almost impossible to give anything more definite than a very generic answer. This article actually attempts an answer to this question by providing several example pets. These examples include an 3 year old black Lab, a 5 year old Rottweiler and a 6 month old Chihuahua. Beyond this, they even take each animal and provide a number of additional details such as their pre-existing conditions (or lack thereof) and which state they live. What a great idea. Now we can examine each specific dog and then look at the table of the various insurance providers and see what rates they would charge for the above example. Of course, this does not preclude additional research, but it is a great place to start! Can you provide an insurance comparison chart for a 7 year old Yorkie? Thank you, Thomas J.Brigantino Sr.
After looking this over, I think my dog is probably the most affordable. I wonder what makes the difference between the breeds. I know that some breeds have an inclination towards specific health problems, but I don't think any of the breeds listed here have any significant health problems that I know of. I mean, I know that dogs like shar-peis have some pretty serious health issues having to do with their skin and other breeds have some serious health issues, but I wonder what the difference between these animals is. I am so glad that pet insurance is a viable option though. I used to joke with a friend of mine that I wished I could insure my pet because the bills were really starting to add up. That was years ago, before there was such a thing as pet insurance. While I think it is great that pet insurance is an option, it kind of cracks me up that I can afford to insure my pet, but since I am self-employed, I can't afford to insure myself! It's not really funny, but I would rather laugh than cry. Thank you for this excellent resource! You have really taken all the work out of deciding on which company would be best for my pet. I love that all the information I need is right here. I also love that you covered all the important aspects, including how customers rate the business. It can be so overwhelming to dig through all this information on your own. Eventually you just end up sitting at your desk with stacks of papers in front of you, ready to scream. With this chart, I can quickly look at the most important information without having to sort through all the fine print. I really love the look of Pet Plan. Not only is the price good, but the features of the plan are excellent. More importantly, it is highly recommend by other users, which is wonderful. The deductible on this plan is higher than some of the others, but I think it's well worth it. The fact that this company offers multiple pet discounts and that the price doesn't change as the pet ages is just wonderful. Honestly, I can't imagine going with any other carrier. I can't wait to sign my pet up. Thank you for making it easy. What an excellent resource for pet owners! I do not have any of the animals described here, but it certainly gave me a good idea of what I can expect when I shop for pet insurance. You even included a detail I would never get if I were to just start calling around to find someone with a good pet insurance policy. You gave the reputation for reimbursement, which probably just saved me a hassle. I was looking over this chart and I found one that seemed like it would fit my needs and actually did fit my budget, but it says they have a poor reputation for reimbursement, so I am not even going to bother to call them. I want pet insurance so I can make my life a bit simpler, not more difficult. If I want issues with reimbursement then why even bother to buy insurance? Also I seriously had no idea where to look to find any kind of pet insurance. I did not want to call a vet in town or the local humane society because I want valid information, not information that is going to be based on whether or not they make a commission. I just want to be able to afford to keep my animals safe. I don't think that is asking too much. So thank you for giving this pet owner such a great resource on pet insurance with so many options and details.